March came in like a lamb but its Minnesota a lion showed up Monday. Last week with starting our seeds. Once the seeds are in the flats we place them in our basement on germination Racks. The racks have heat under the flats which is temperature controlled, a humidity dome, and lights on a timer. We keep them in the basement racks for about 3 weeks then they are moved to the green house. The basement start helps to save money for green house heating the end of March is warmer also. 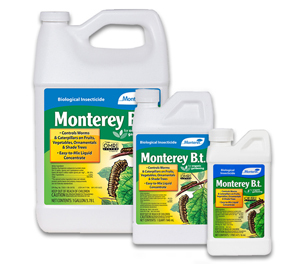 OMRI LIsted Monterey Bt Liquid is a biological insecticide that can be used on fruits, ornamentals and various other plants. It contains Bacillus thuringiensis subspecies kurstaki strain SA-12 and Lepidopteran active toxins that halt feeding and result in death when eaten by caterpillars. 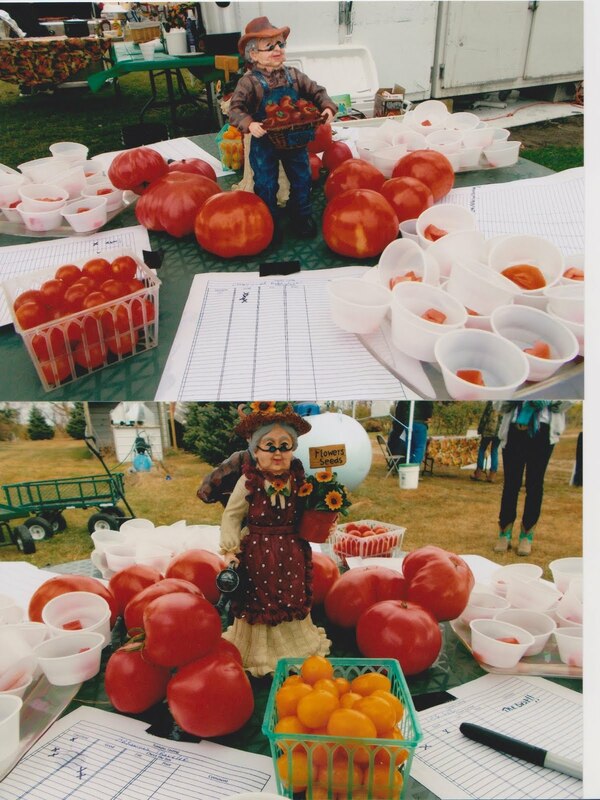 It will not affect birds or beneficial insects such as honeybees and ladybugs. Control of Chewing Caterpillars. SNS-209 All Natural Systemic Pest Control Concentrate approaches the problem of insect pest control by working within the plant itself. This unique organic formula contains rosemeric acid, a derivative of the rosemary plant, that the plant will uptake and spread throughout its vascular system. The presence of rosemeric acid in the plant cells forms a barrier that insects find distasteful. Once a feeding insect comes in contact with the rosemeric acid, they retreat and look for a more suitable food source. Contact with rosemeric acid can be fatal depending on the size of the pest affected and that pest's maturity. 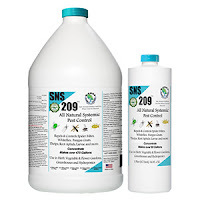 This Product Controls These Pests or Diseases: Spider Mites (Tetranychidae), Whiteflies (Aleyrodoidea), Fungus Gnats (Bradysia coprophila, Bradysia impatiens), Thrips (Thysanoptera), Root Aphids, Scales (Coccoidea) and other plant feeding insects.